After a very busy month of crafting last month, what with making two dragon-themed Bostik crafts (a fun dragon mask and a pop-up dragon's den, in case you missed them), an Easter hat and catching up with my Sky Blanket project, J and I were ready to take it easy this month. 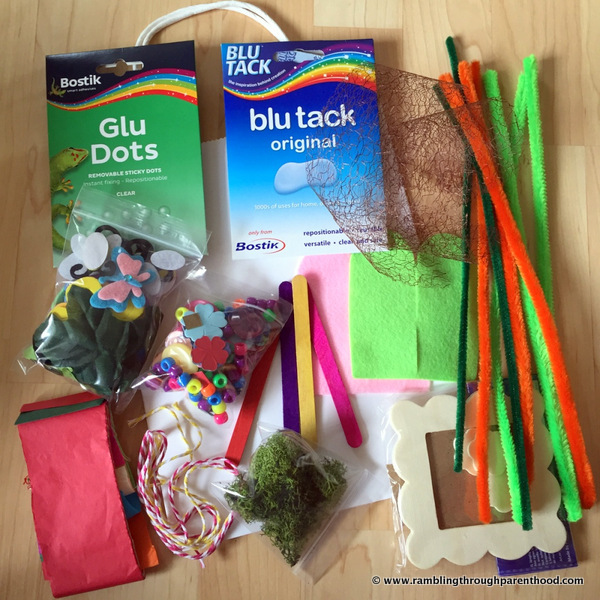 This month’s Bostik craft box and challenge were just perfect for us. The theme was ‘garden and mini-beasts’, great for this time of year when the bleak of winter is being replaced by the vibrant of spring. 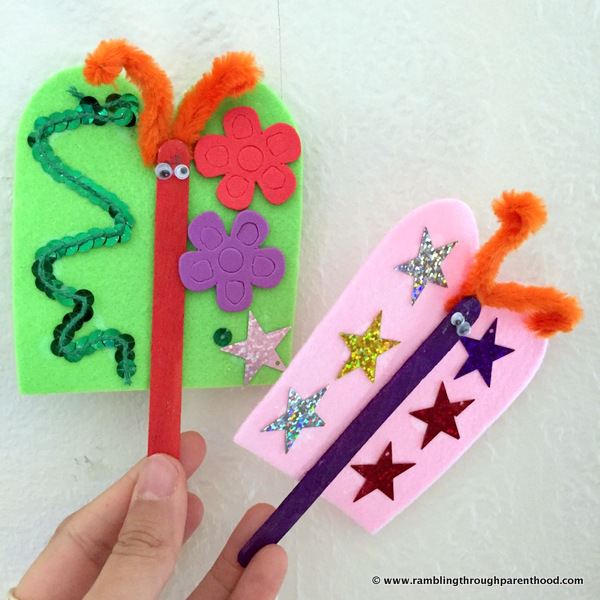 We came up with a trio of fun spring crafts that are easy enough for pre-schoolers and toddlers to recreate. I say we, it was more J taking the lead and me following instructions to plop blobs of glue as directed. The box was full of little bits and pieces that were an instant hit with my son. There were sticky backed foam flowers, leaves, bumblebees and butterflies. There were pipe cleaners and googly eyes. And there was what J insisted was real moss. Then there were these amazing Bostik Glue Dots that I had never used before and found to be brilliant when it came to sticking mesh fabric to paper. We decorated this pretty little picture frame that came in the box. J promptly created a work of art to display in it. Quite aptly in keeping with the spring theme, and rather optimistically, he came up with a brightly shining sun and a rainbow. 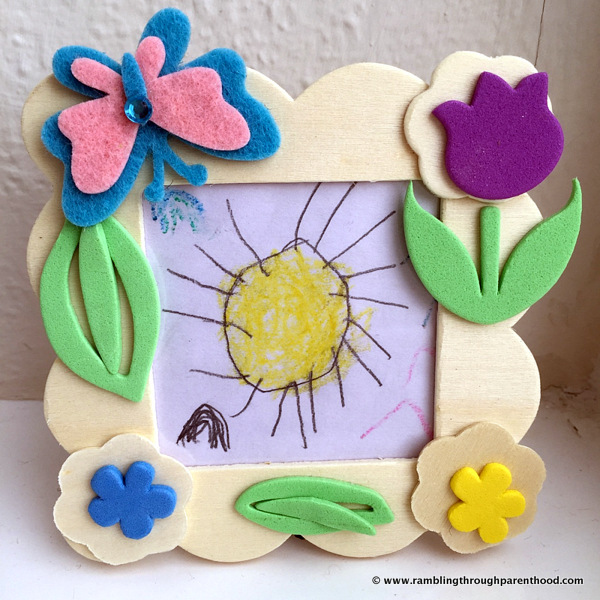 He then spent some a lot more time cutting up tiny pieces of paper and drawing pictures on them, so that this will now be a changing picture frame. 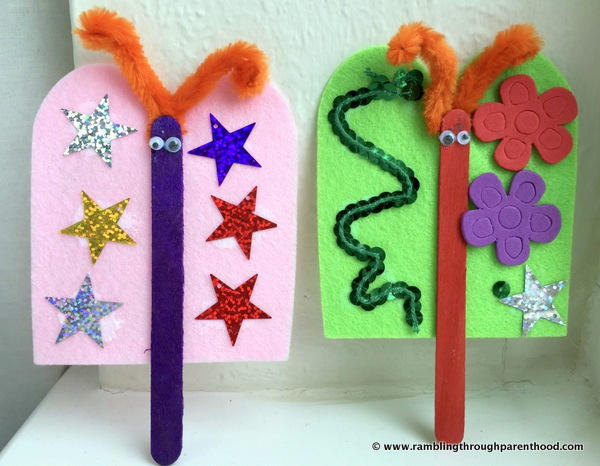 His favourite creation of the three was these cute little butterflies fashioned out of lollipop sticks and bits of felt. We added pieces of a pipe cleaner for the antennae. The look was completed by sticking on a pair of googly eyes and lots of embellishments on the felt wings. We have since been using them as puppets and waving, err, flying them around everywhere. We then turned our attention to a white paper bag that came in our box. It was the perfect blank canvas to create a spring garden in bloom by gluing on some of the foam floral pieces and the aforementioned moss and mesh fabric. 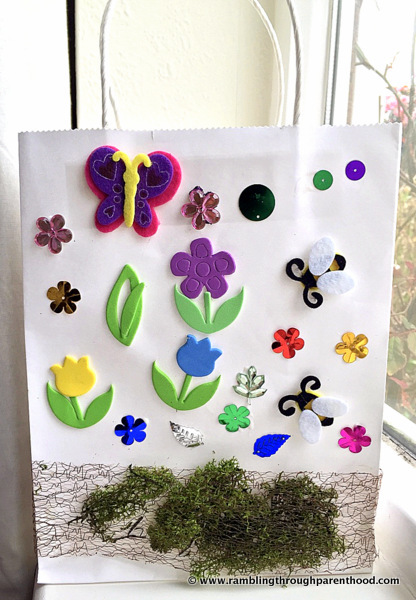 My son insisted on adding more flowers, 'jewels', from his own craft box at home. I think this is the perfect gift bag for presenting a garden plant or any spring-themed gift, really. Which of our three creations did you like the most? Will you be making one yourself this spring? 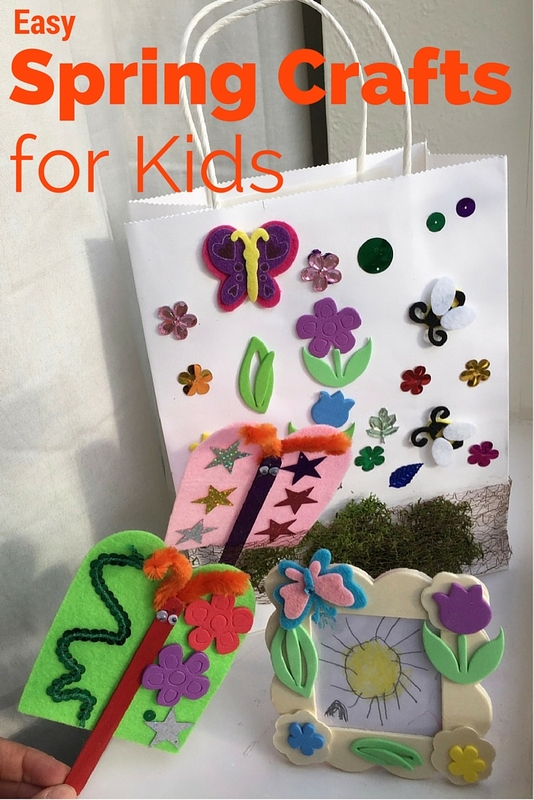 Disclosure: We were sent a box of craft material to complete this challenge as part of the Bostik Blogger campaign.